What is the first thing that strikes a person while thinking of wedding preparations? Yes, it is the wedding shopping. Indian wedding are generally considered a grand affair that requires a lot of preparation. Shopping is the most important aspect of it and can actually be adventurous if done wisely. Apart from being a fun activity, shopping for wedding is also essential because there are endless things to buy for wedding ceremonies, bride, bridegroom, relatives, family, etc. It is necessary to ensure that everything is bought and nothing is left for avoiding unnecessary chaos at the time of wedding. Try and keep ample time for shopping so that you can make worthwhile purchase within your budget and also avoiding any hurry at the last moment. Through this write-up, we are trying to bring forth some simple guidelines that will assist you in doing shopping for wedding without any hurry and shelling extra bucks from your pocket. Set Budget : First and foremost step of is to prepare a budget. Setting a budget for comprehensive items will give you a fair idea about the expenses and spare you from last minute cash issues. Mild fluctuations in the budget might be possible but setting a budget will help you in avoiding over expenditure. 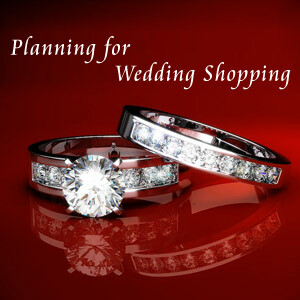 Prepare lists : The second step of planning for wedding shopping is to make a list of things you want to buy. Your list should include everything from jewelry, clothes, upholstery, gifts, cosmetics, household items, etc. and make sure that nothing is left. Also make list of other things like beddings, guesthouse items, items needed for the accommodation of the relatives of the bride and groom etc. Items required for puja and haavan, should be listed separately so that nothing is missing at the mandap and wedding ceremony proceeds peacefully. It is better to make list of everything separately for easy segregation of the budget. Smart Shopping : Buying things from a trustworthy shop and availing hefty discounts with no problem of return or exchange will make you a smart wedding shopper. Other traits of being a smart shopper include purchasing same gifts for family or friends, which can also be prepared on prior order. 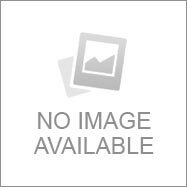 Buying gifts for bridegroom and his family can actually be cumbersome if you are not aware of their choice. Take them for shopping with you when buying clothes or other items for them so that they can make their own choice. Maintain Record : Do not forget to take receipt of everything you buy for keeping a record of your expenses during the shopping. This practice will also help you in case there is any problem with the items you have purchased and you want to exchange or return them. We hope that these simple tips will assist you in planning wedding shopping smartly without shelling much from your pocket. Following these guidelines will also minimize the chances of chaos or hurry at the last moment of the wedding.